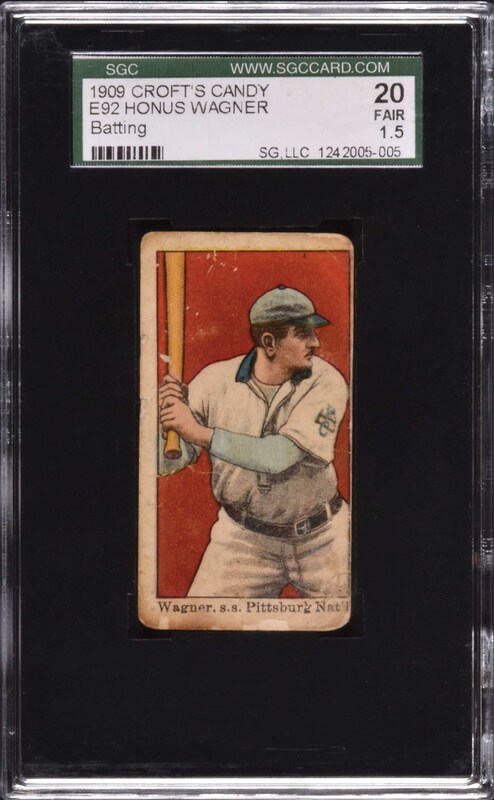 Relatively affordable example of this rare and popular card from the E92 Croft's Candy series featuring Hall of Famer Honus Wagner in a batting pose. Honus did not want to encourage youngsters to smoke but had no problem with promoting candy! The "Flying Dutchman" is one of the keys in the 1909 E92 Croft's Candy set and was issued in both batting and throwing poses. E92 Croft's Candy shares designs with several other closely related candy issues (Dockman & Sons, Nadja Caramels, etc.) from the same era. Graded FAIR 20 by SGC, the card displays bold colors, flawless registration, and evenly rounded corners. There is moderate creasing, a few scattered surface abrasions, and a very thin right border. The important reverse is printed in bold black ink. Caramel cards in general are much rarer than tobacco cards of the era. Because they were issued with caramels one card per package and sold to children (as opposed to being sold to adults with tobacco), they also tend to survive in a much lower grade. 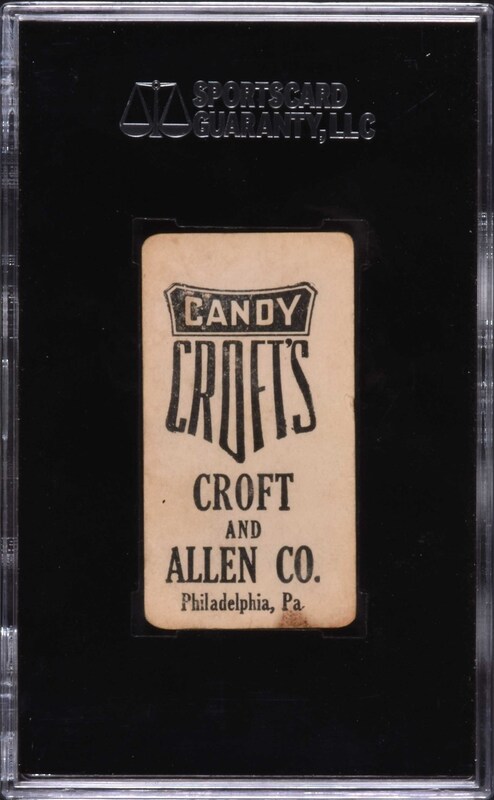 This is a relatively affordable example of the legendary Honus Wagner from this rare, early twentieth-century candy issue, dating from the height of Wagner's career and issued at the same time as Wagner's famous T206 tobacco card. Reserve $300. Estimate $500/$1,000+.